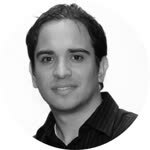 Juan Carlos Niebles received an Engineering degree in Electronics from Universidad del Norte (Colombia) in 2002, an M.Sc. degree in Electrical and Computer Engineering from University of Illinois at Urbana-Champaign in 2007, and a Ph.D. degree in Electrical Engineering from Princeton University in 2011. He is a Senior Research Scientist at the Stanford AI Lab and Associate Director of Research at the Stanford-Toyota Center for AI Research since 2015. He is also an Associate Professor of Electrical and Electronic Engineering in Universidad del Norte (Colombia) since 2011. His research interests are in computer vision and machine learning, with a focus on visual recognition and understanding of human actions and activities, objects, scenes, and events. He is a recipient of a Google Faculty Research award (2015), the Microsoft Research Faculty Fellowship (2012), a Google Research award (2011) and a Fulbright Fellowship (2005). My research work is in computer vision. The goal of my research is to enable computers and robots to perceive the visual world by developing novel computer vision algorithms for automatic analysis of images and videos. From the scientific point of view, we tackle fundamental open problems in computer vision research related to the visual recognition and understanding of human actions and activities, objects, scenes, and events. From the application perspective, we develop systems that solve practical world problems by introducing cutting-edge computer vision technologies into new application domains.